An acquaintance mentioned to me a talk on “Witchcraft and the Law in Medieval Scandinavia” by Prof. Stephen A. Mitchell of Harvard University that she had heard and enjoyed. So I looked up Prof. Mitchell’s 2011 book, which includes a chapter on that very topic, and made it my historical reading for the last several days. It’s heavy going, but offers a useful historical analysis of its subject. First of all, let me tell you what this isn’t. 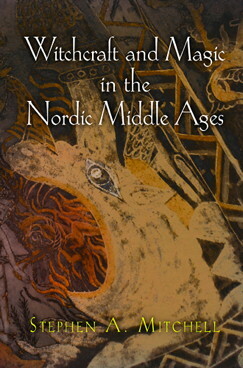 It’s not a popular work loaded with anecdotes, or a systematic explanation of magic in medieval Scandinavia. This is a scholarly work, not afraid to discuss the finer points of language and interpretation (though most of that is confined to the end notes), and can be quite dry at times. It’s also not about the entire medieval period, but of the years between 1100 and 1500. Mitchell is trying to fill in a gap in our understanding between the numerous studies on the Viking Age before 1100 and the surge in witch trials after 1500. One of the reasons for the gap is the relative paucity of evidence for this period and the difficulties in trying to analyze it. So if you’re looking for a complete picture of how witches and magic operated in Scandinavia in this period, you are going to be disappointed. What you do get is a study of a culture in transition, from the pagan world of the Vikings (not as well understood as we like to think) to the Christians who would hunt down and burn witches in early modern times. Mitchell’s fundamental principle is that beliefs about magic have to be useful: people engage in witchcraft or accuse others of witchcraft to achieve real ends, even if their methods will not succeed. If people are engaging in magic, they must have a world-view that supports the efficacy of their magic, and ends it will achieve which they value. If people accuse others of being witches, they must be relying on beliefs about witchcraft to achieve their own ends by prosecuting the witch, and whether they succeed will depend on how community leaders view witchcraft. Keep all this in mind, and Mitchell’s analysis is easier to follow. At the most concrete level, Nordic magic involved charms and spells to influence the things those people most wanted: love, wealth, good weather, good fishing, good luck, and conversely bad luck, poverty, and impotence on their enemies. The medieval Scandinavians (which in this study includes the Northern Germanic peoples spread out from Greenland to Sweden) tended to lump poison in there among the malevolent things witches might do, presumably because in its actions it was as hidden or occult as magic. This form of magic with charms and spells originated in pagan times, and endured throughout the period Mitchell analyzes, gradually incorporating Christian content that sometimes supplanted and other times coexisted with pagan elements. Apart from this folk tradition, there was also what might be called a literary tradition of powerful wizards and witches, who drew their power from the old gods and from the spells they cast. These were figures of legend, not reality, but they did influence what people thought about witches. As Christianity gained hold in Scandinavia, Christians began by showing the pagan wizards as being defeated by Christians who wield stronger magic, then gradually shifted the source of the pagan magicians’ power from old gods to demons posing as gods. Ultimately, this merged with the idea of the witch making a pact with the devil that bubbled up from the south. By 1500, wizards and witches were no longer just wielders of magic, they were disruptive agents of evil, in a wicked league with the devil. Significantly, the Nordic understanding of witchcraft was usually gendered, though how so changed over time. There’s some evidence that the powerful mages from pagan times may have been mostly female. But the Church’s view of women’s nature being weak, lustful, and sinful gradually changed the gendered roles. Male witches increasingly were seen as serious disruptors of social order. In literature they often took on a martial role, while in actual court cases they were seen as serious threats to order and treated with severity. Female witches, on the other hand, gradually were seen as motivated by more personal concerns, such as love and sexuality. In literature, they increasingly tended to operate on a personal scale, and in actual legal cases were often dismissed with mild punishments if they agreed to desist. Mitchell has a great deal more to say, but that’s a short description of what you’ll find in Witchcraft and Magic in the Nordic Middle Ages. Naturally, I’ve simplified and generalized a lot. 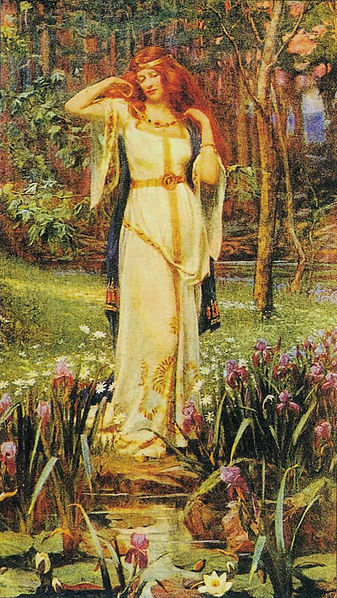 I’ve left out Mitchell’s discussion of the evidence, as well as such topics as the role of the goddess Freyja, the value of a woman’s reputation and the depiction of witches in medieval church art, among others. If you’re interested in a historian’s careful analysis of fragmentary evidence of what is generally viewed as a transitional period in thinking about magic and witchcraft, then find this book and read it. This entry was posted in History, Reviews and tagged Magic, medieval, Medieval Scandinavia, Middle Ages, Nordic, Reading, Scandinavia, Stephen A. Mitchell, witchcraft, witches. Bookmark the permalink. Sounds fascinating…I might check it out myself. Knowing my interest, it ought not to surprise you that, thanks to your review, I have just ordered this book from Amazon. Too late, I’m afraid, from halting Toli in his tracks (though his tale originates before even the Viking period. One of the more interesting issues Mitchell tackles is analyzing the Icelandic sagas, by the way. The usual analysis starts with acknowledging that they were set down in their current form after 1200, and then tries to read back what pagan Iceland was like. Mitchell has to swim against the stream, trying to evaluate what they say about the period in which they were written down. Thanks for the link, though I was already aware of the case. But does Mitchell say by what means Olaf Tryggvason (King of Norway 995-1000) tried to enforce Christianity? Try this, but not while you’re eating. http://en.wikipedia.org/wiki/Olaf_Tryggvason#Forcible_conversions. Seems to me, these Northmen preferred the old ways! As to said book, I doubt it will disappoint. What annoys me of most books on this subject is how shallow they are, omitting much, and repeating as given the same old material. I prefer something that stirs my thoughts. Mitchell’s thoughts on the conversion to Christianity are complex, mainly because he sees the process as also being complex. The changing interpretation of the role of pagan gods and magic I mention in my review gives you something of the flavor of the way he looks at the matter. Amazon says it could be 2 weeks. I;m itching to read it. Hi Brian. Would you be interested in reviewing by next book? It’s almost finished. Pam, why don’t you send me a few words about your next book, to my e-mail account Sillyverse on Gmail, so I can get a better idea whether I can do justice to it? I’ll be waiting to hear from you.